Fadesa, Spain’s biggest house builder by assets, is the latest casualty of the Spanish property market crash. The company was forced yesterday to seek protection from its creditors in the biggest case of insolvency in Spain’s history. 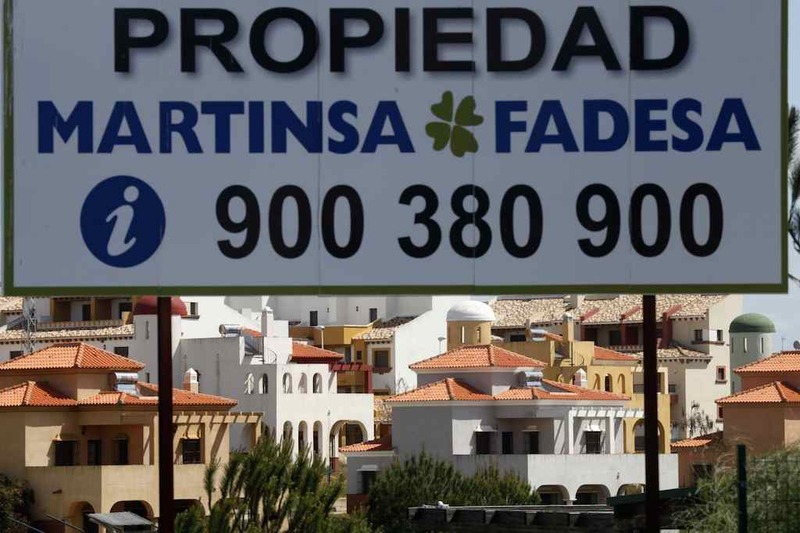 Fadesa, which was taken over last year by fellow Spanish developer Martinsa, to become Martinsa-Fadesa, said that voluntary administration was the best option available to the company given its “serious cash flow problems”, and the only way for the company to keep trading. Fadesa has been struggling for several months to renegotiate more than 4 billion Euros of loans with a consortium of banks, the final straw coming at the end of last week when Fadesa failed to obtain a 150 million Euro loan from Spain’s Institute of Official Credit (ICO). The banks pulled the plug, and Fadesa’s share price collapsed by more than 50%, causing its shares to be suspended yesterday. Martinsa-Fadesa has a stock of more than 173,000 newly-built properties, and 29 million square meters of land. Under the supervision of court-appointed administrators Fadesa will now have to sell assets to pay off its creditors. The timing couldn’t be worse. Fadesa will have to dump its assets in a falling market. With Fadesa now in administration, creditors will have to get in line to make their claims. The banks that have lent Fadesa more than 4 billion Euros will be first in line, but off-plan buyers who have made stage payments to Fadesa might also have to join the queue, somewhere near the back. This will only be the case if there are any buyers without valid bank guarantees.